The information below is correct for Christmas 2016 / New Year 2017 only. 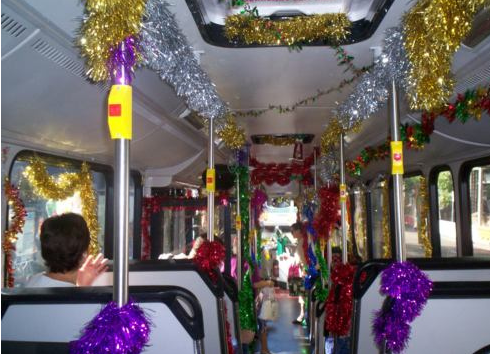 A park-and-ride service will be in place for the Christmas 2016 shopping period. 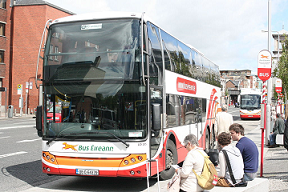 It will operate from Saturday 3 December until Saturday 24 December inclusive, and is being operated by Bus Éireann on behalf of Galway City Council. City Direct have started operating a new service, Route 410 - Salthill, from late August 2016. 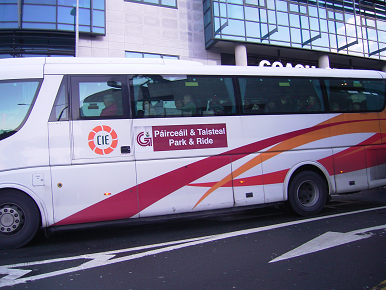 This bus leaves from bus stop 3 in Eyre Square, and goes via Francis St, the Cathedral, UHG front entrance, NUIG, Shantalla, Salthill, Knocknacarra Road, Joyces 365, Clybaun Rd, Western Distributor Rd and Cappagh Rd. A map of the bus-route is available here. This is totally separate from route 410 - Oranmore which was cancelled in May 2016. The information below is for 2016. 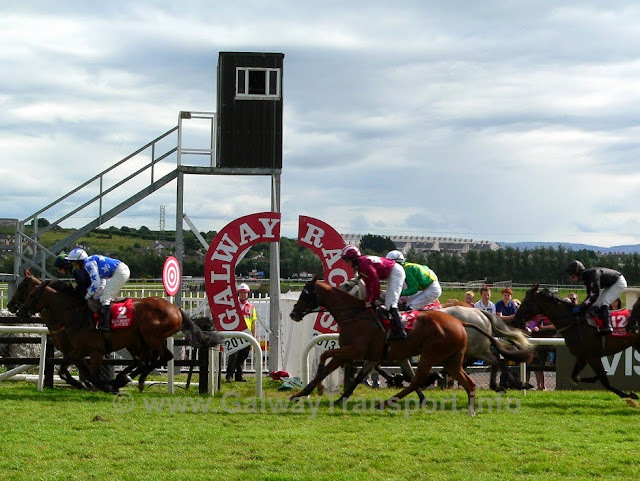 Click here to find information about public transport for this year's Galway Races. The Galway Races Summer Meeting is from Monday 25 July - Sunday 31 July 2016. 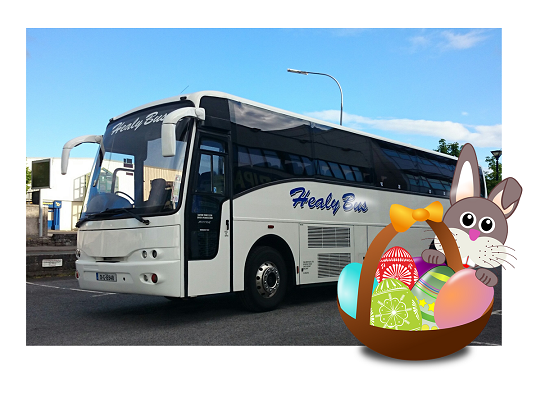 The Athenry Night-link service runs Wednesday-Sunday nights. The route 409 - Parkmore and route 403 - Ballybrit city buses go to the racecourse (Avenue entrance). But there are restrictions during peak racing traffic hours Mon - Fri.
GoBus have announced fare price rises from Monday 4 July 2016. 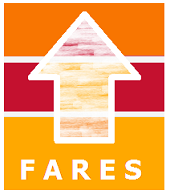 They have also introduced a Senior fare type, which gives a small discount for pre-purchased return tickets on Galway / Dublin / Dublin Airport services. 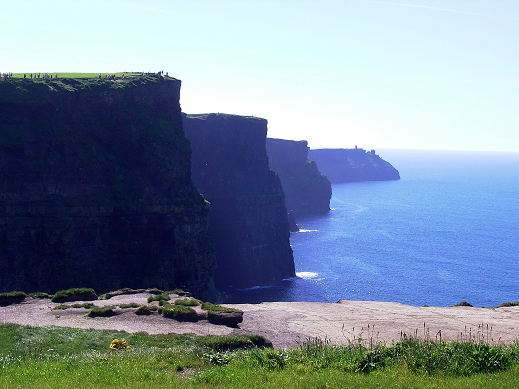 Monday 6 June 2016 is a Public / Bank Holiday in Ireland. Five services each way will stop at Shannon Airport - this will happen year round,not just in summer as it did in 2015. 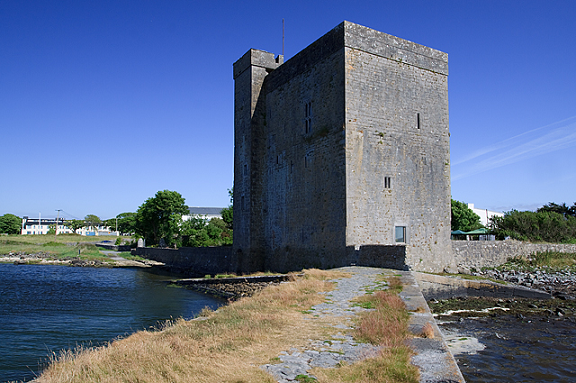 There are new early-morning services (from Galway at 5am and 8am, and from Limerick at 6:45am) - this makes it possible to travel from Galway City to Shannon for morning flights. 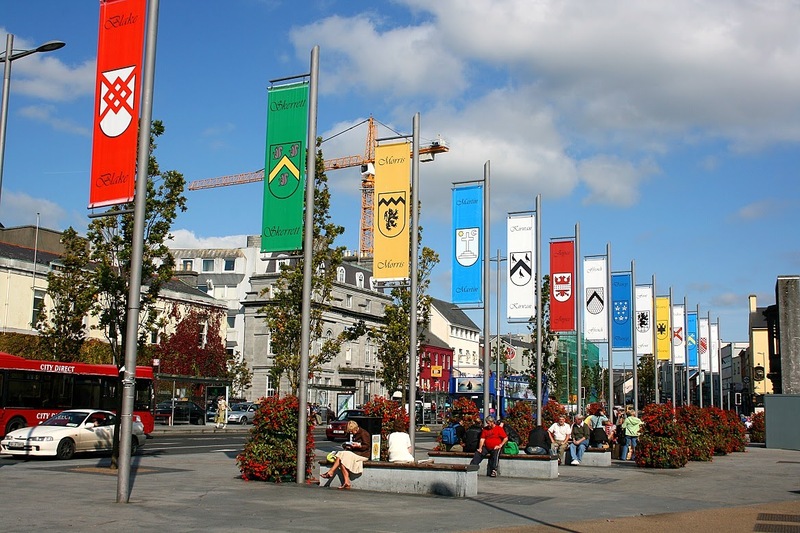 The service from Galway is now hourly between 8am and 7pm (previously was between 9am and 6pm). 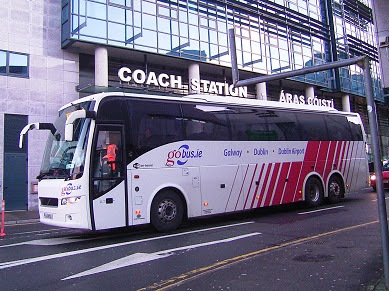 There is a new late evening bus to Galway (9:35pm ex Limerick). The new timetable for the the X51 service is available here. See Galway Regional buses for details off all services to/from Galway. 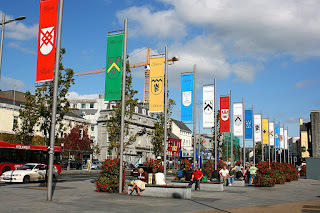 See Galway airport connections for information about all services to/from airports. Bus Éireann have announced that from Sunday 16 May 2016 the Route 405 - Ballybane bus will go right into Ballybrit Business Park / Ballybrit Industrial estate, instead of ending at the entrance to the estate. 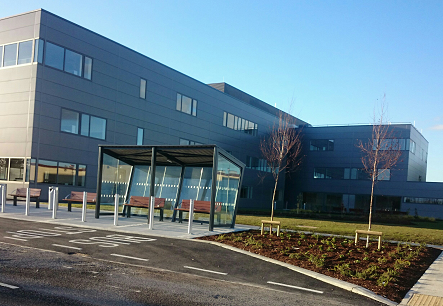 The new bus terminal will be outside the Hewlett-Packard Enterprise (HPE - previously HP, Compaq, Digital) building in Ballybrit, where a bus-shelter is available. Buses from the city will stop at the bus-stop at the entrance to the industrial estate on request. Route 410 - Galway city to Oranmore is cancelled. Route 404 is extended to travel between Westside Shopping Centre / Newcastle and Galway Clinic, and on to Oranmore. 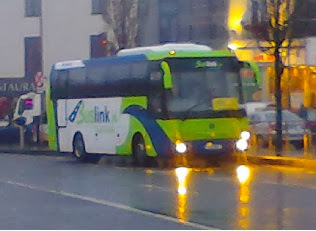 Citylink's have advised that they will not be running a service between Galway and Killarny in summer 2016. See travelling between Galway and Killarney for other options for making this journey.